Going to the circus was a memorable event for me. We lived in a country town and when the circus came to town (or drove through it on its way to a bigger town) it was very exciting indeed. We recently took our son to the circus and it brought back long forgotten childhood memories. It was a great treat for all of us. The Carnival Banner piece has been designed with the circus in mind. The festoon area below is where you can use the brightest, stripiest fabric you have in your stash. 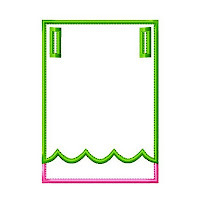 Personalize the banner with fonts you already own or use the fonts in your embroidery machine. Pictured above is a sew-out I've done using the 4x4 hoop - each banner piece measures 3.93" x 2.81". There are 5 sizes - 4", 5", 6", 7" and 8". 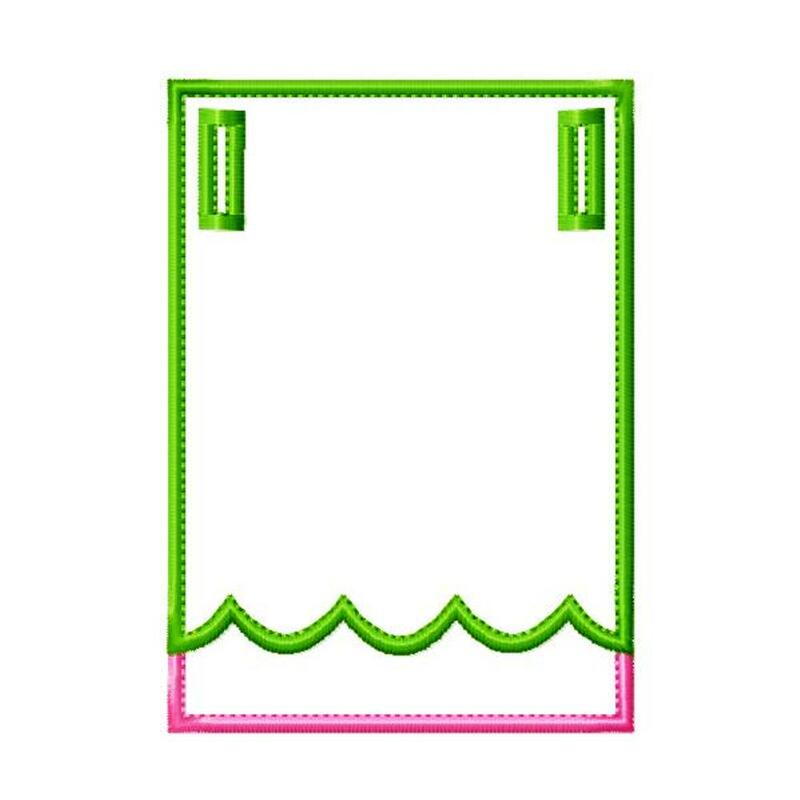 The banner pieces slide onto ribbon 5/8" wide and feature a contrast stitch of Triple Bean outlining the Satin Stitch edge which gives you a quality look. For hints and tips on HOW TO MAKE THE PERFECT BANNER, view my tutorial. If you have any questions, I'm happy to help. 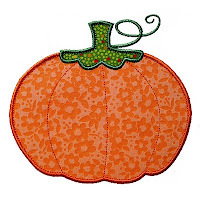 Looking for something adorable to appliqué this Thanksgiving? 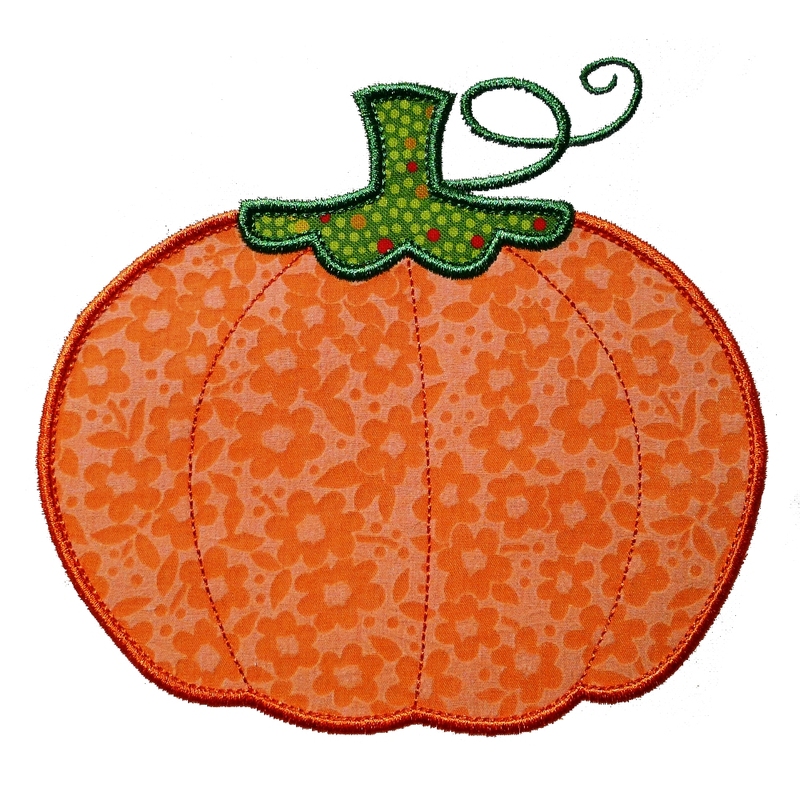 This appliqué pattern has been designed in two tones so choose your brightest and your richest embroidery threads to make this pumpkin glow! It comes to you in sizes 4", 5" and 6". Easy to follow instructions – simply cut as you go! Have fun using different thread color and fabric color combinations with PUMPKIN and you will be rewarded a vast array different looks. Enjoy! 4x4 hoop - exact size 3.92" x 3.69"
5x7 hoop - exact size 5" x 4.72"
6x10 hoop - exact size 6" x 5.59"